What a wonderful day we had at St Anne’s marking 100 years since the end of WW1. 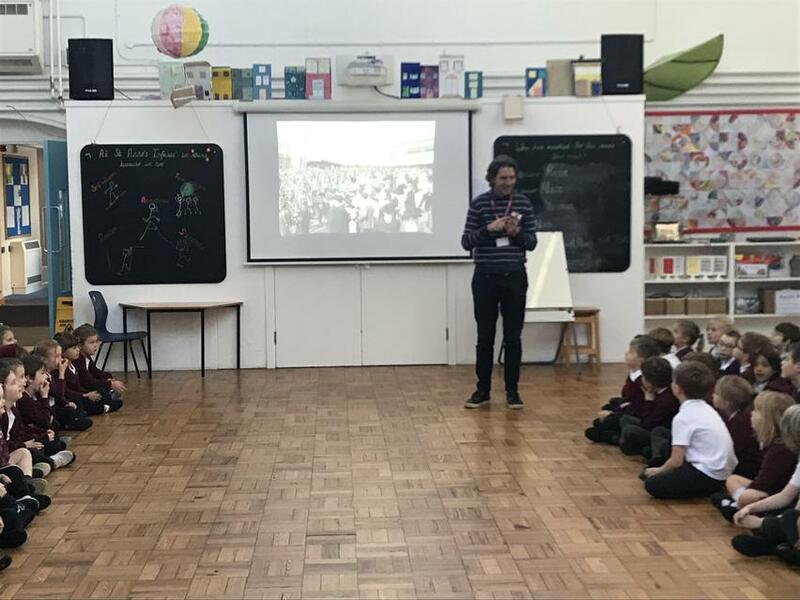 Our day as historians and philosophers started with Michael from Heritage Schools showing us powerful footage of Temple Meads Station the day after the war began. 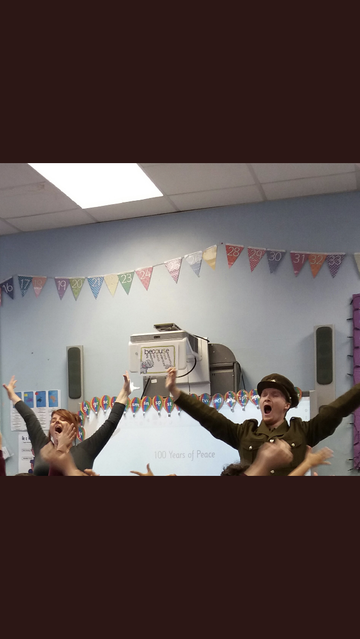 Suddenly, Ernie Haberfield, a WW1 soldier burst into assembly and guess what? He used to go to St Anne’s! So did all the soldiers who are listed on the shield displayed in school. 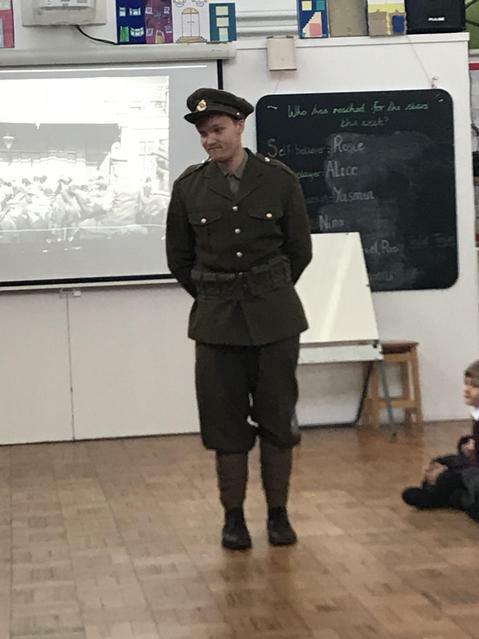 The rest of the day was spent hearing about Ernie’s life at war, asking him questions, finding out where the soldiers on the shield lived, comparing old and new maps, why people wear poppies etc. We finished the day with a peace party. A truly memorable day!